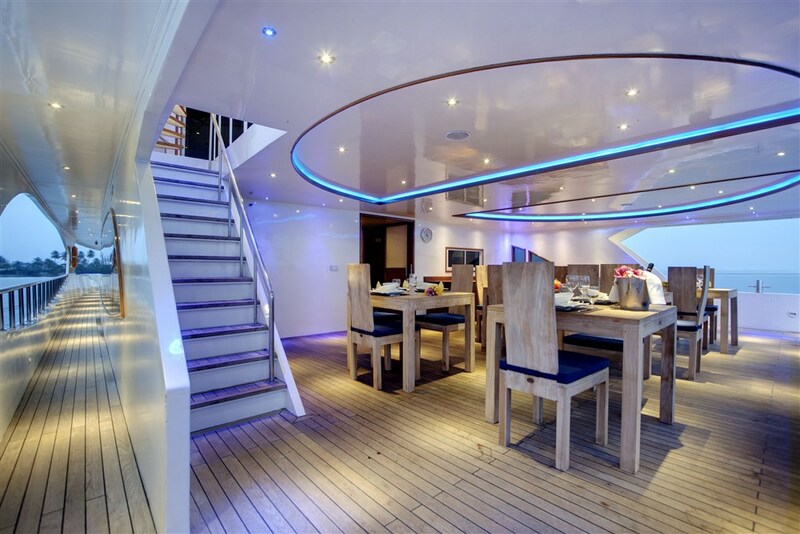 The sophisticated Duke of York offers a perfect combination of quality, high design standards and local naval architects and engineers’ expertise. 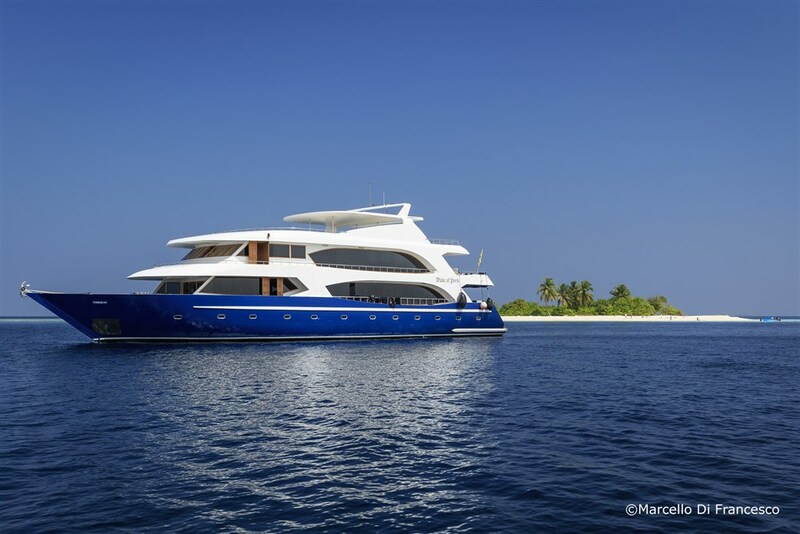 Custom-built in 2010, this beautiful vessel is the ideal option for an unforgettable holiday in the Maldives that joins adventure and relaxation like very few others do! 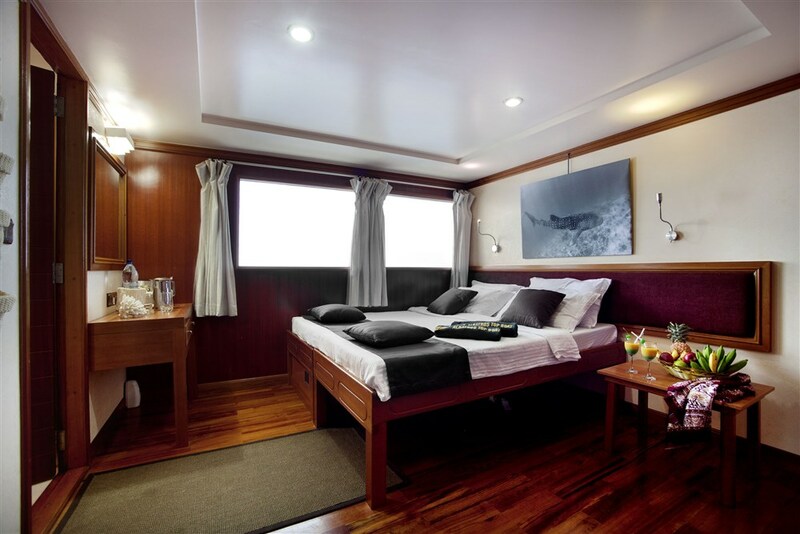 The exclusive Duke of York accommodates 20 guests in 10 stylish cabins with a comfortable environment, all with low beds as well as their own private bathroom and AC. 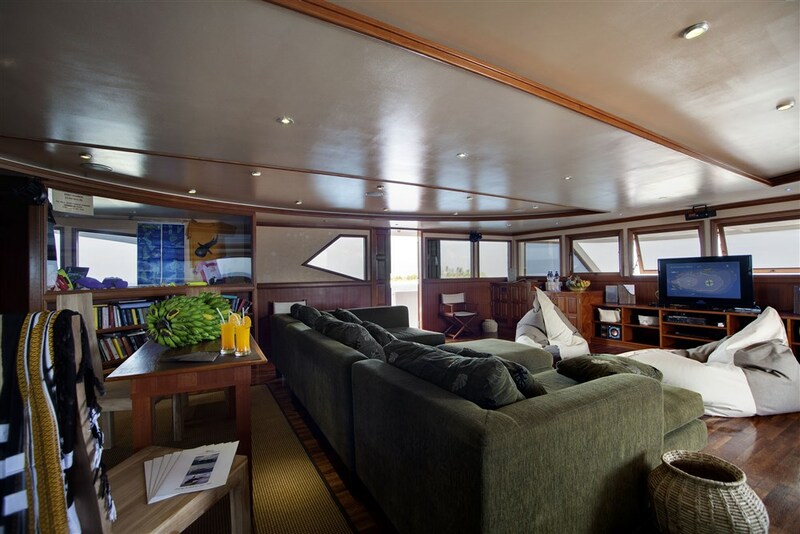 Being 26 metres long, it does not lack space, which means that after or in between your dives you will find plenty of indoor and outdoor relaxing areas. 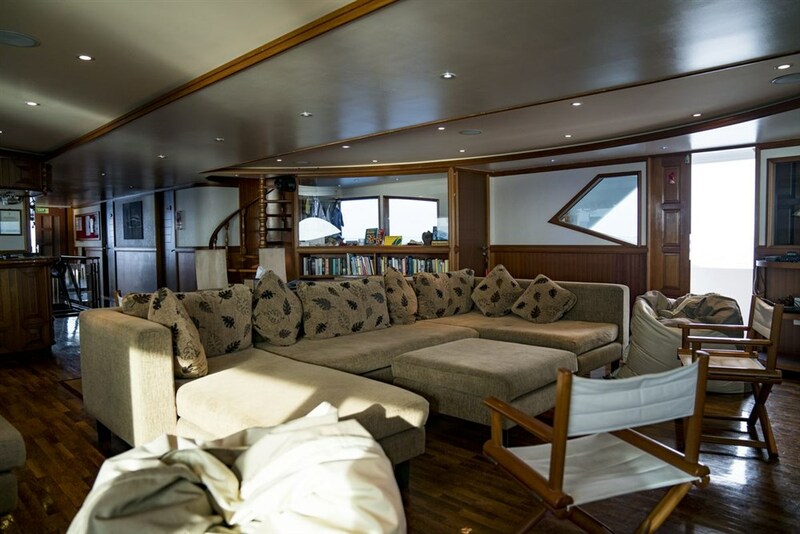 The spacious air-conditioned indoor saloon features comfortable sofas and is the ideal place to listen to music, read, watch a movie or just socialise with other guests while sharing dive stories. 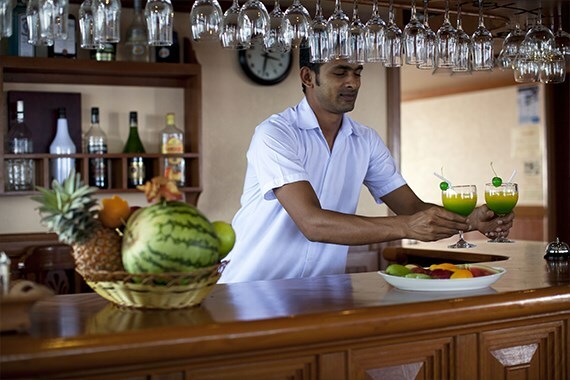 Here you will also find a fully licensed bar offering a wide choice of soft drinks and spirits with which you can toast to a fantastic adventure in the Maldives! 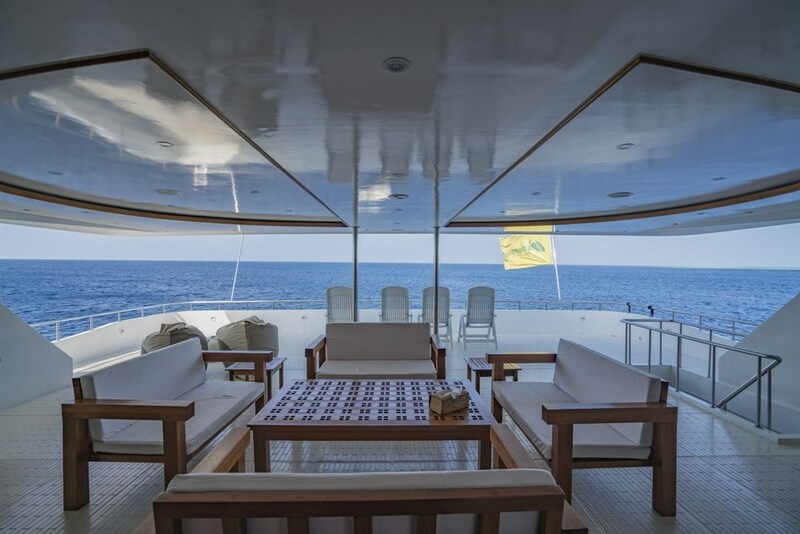 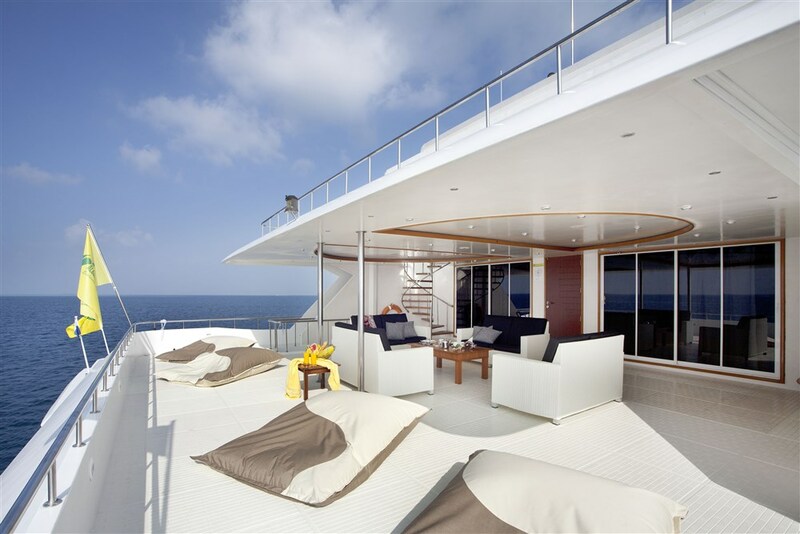 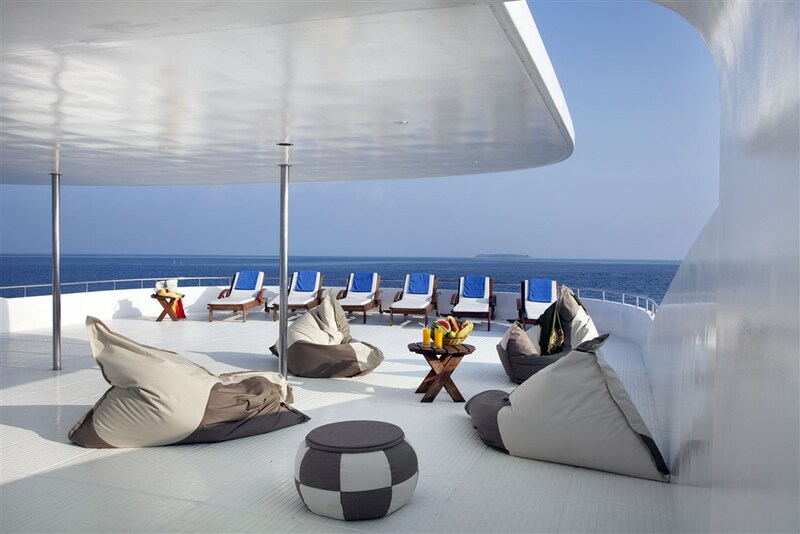 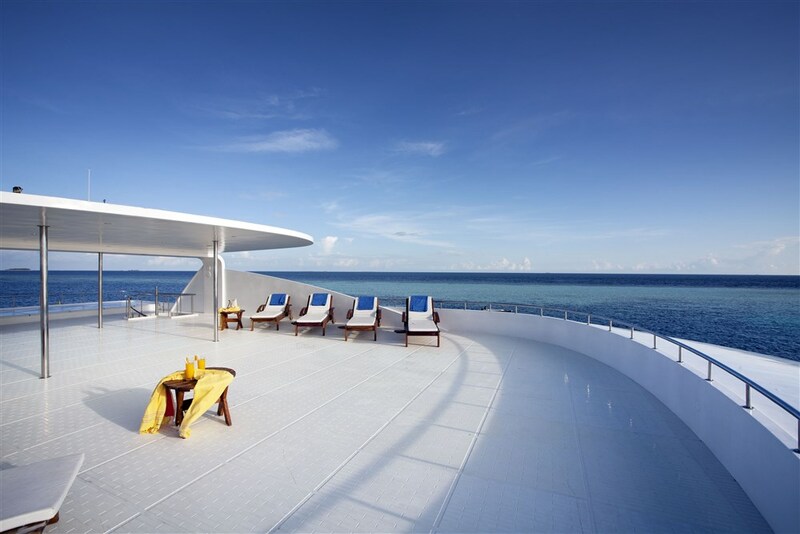 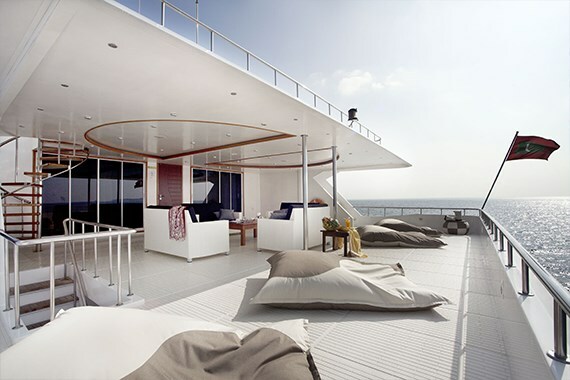 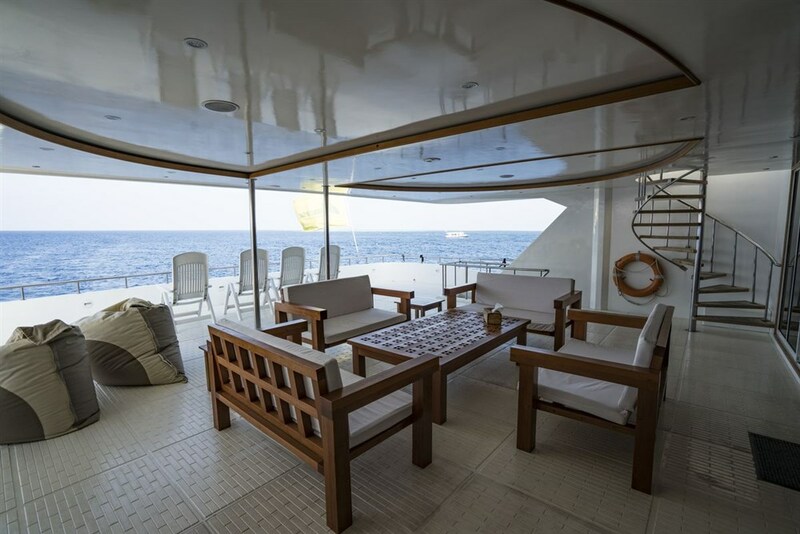 The outdoor areas spread over three decks and are furnished with comfortable sun beds and cushions from which you can enjoy the Maldivian views while relaxing in the shade or sunbathing. 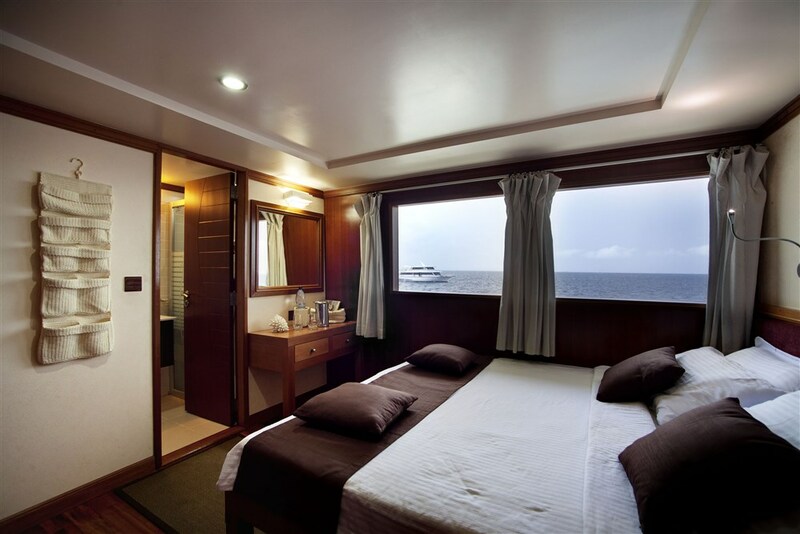 For an absolute pampering experience that will soothe both your mind and body, you can book a massage at the onboard spa specialising in Ayurvedic treatments. 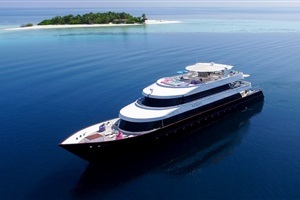 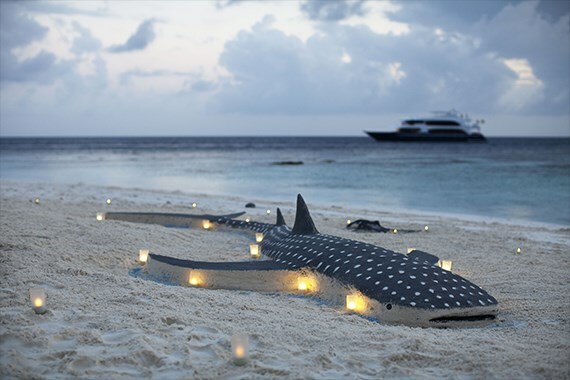 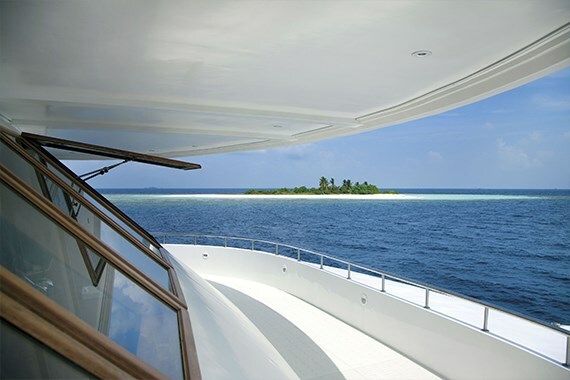 Other activities – ideal for the non-diving guests – include snorkeling, fishing, visiting sand strips and deserted islands or shopping traditional Maldivian souvenirs from the onboard boutique. 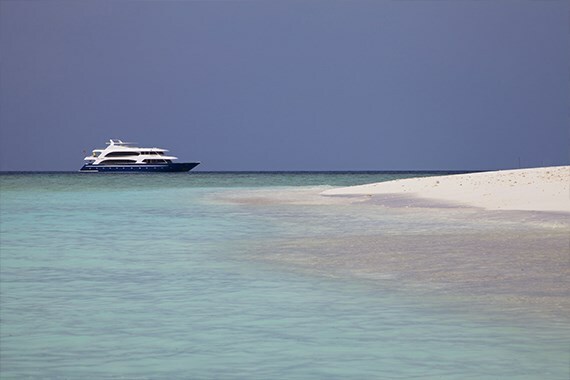 And because no holiday is complete without a memorable gastronomic experience, great attention is given to the preparation of the delicious Italian and Maldivian dishes cooked freshly everyday by the onboard chefs. 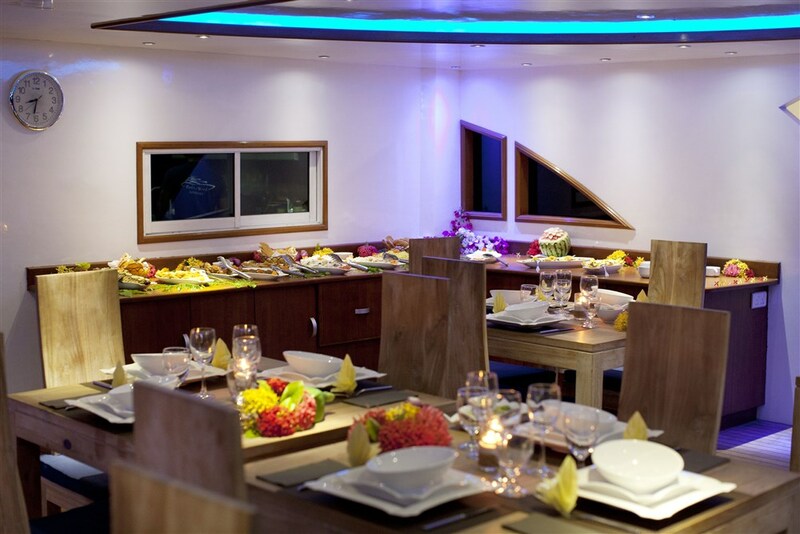 All the meals are served buffet style in the elegant outdoor dining area. 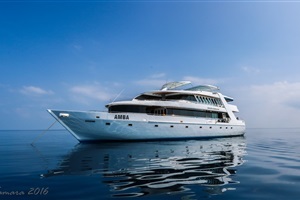 And to ensure you have a holiday dedicated to wellbeing, relaxation and adventure that you will never forget, an attentive crew will be looking after all your needs the whole time. 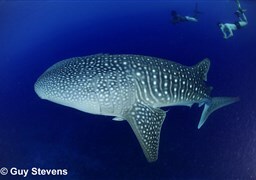 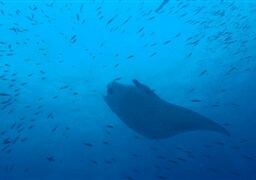 A team of experienced and professional local and international dive guides will lead you so you get to see the very best of Maldives underwater, including the big pelagic animals this area is famous for: manta rays, whale sharks and even hammerheads! 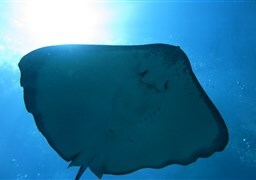 Other common sights include turtles, eagle rays, black-tip sharks, nurse sharks, groupers, an assortment of colourful reef fish and much more! 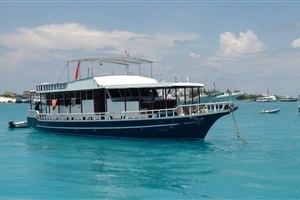 All diving and snorkeling activities are conducted from an 18 metres Maldivian dive boat operating as a tender, which allows for more precise and comfortable approaches to the dive sites. 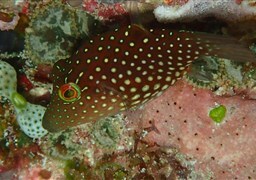 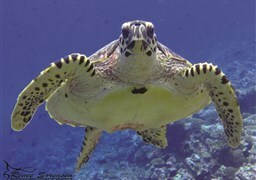 Nitrox is available for free and dive gear can be rented upon request with your booking. 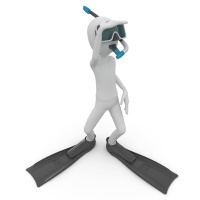 Rebreather dives are also available. 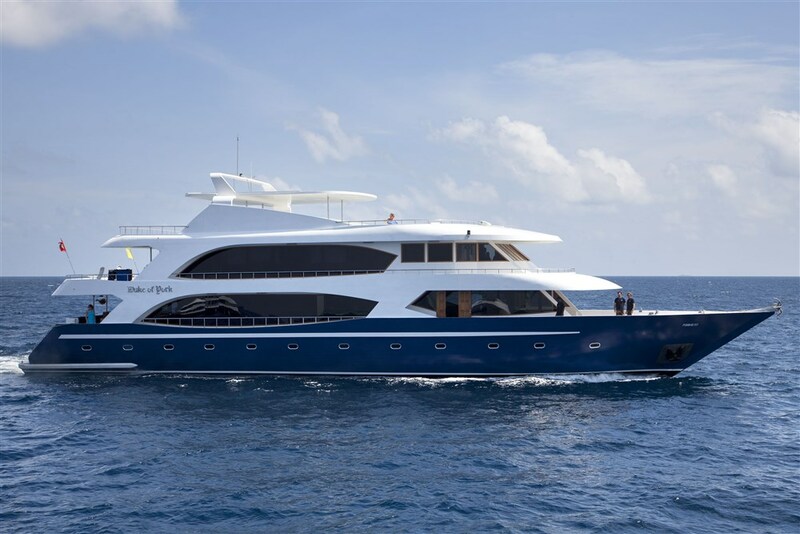 To join a trip on this boat you must have a valid dive insurance from a reputable insurance company. 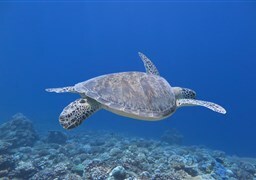 The use of a dive computer is also mandatory. 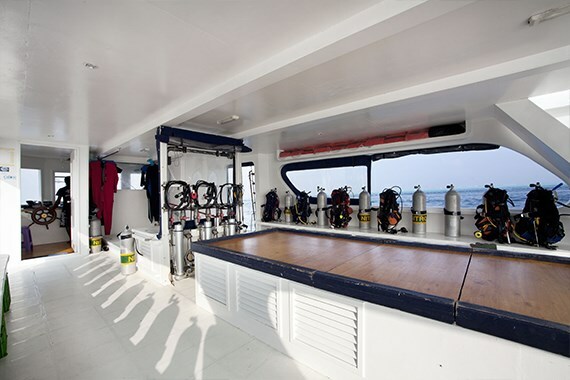 And should you want to take the opportunity to further your dive education, the Duke of York offers all standard PADI courses during its cruises, as well as a variety of specialty courses. 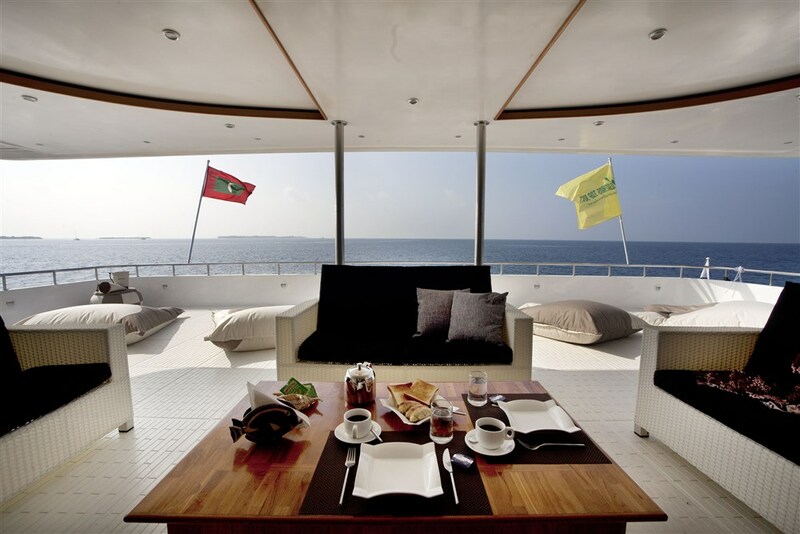 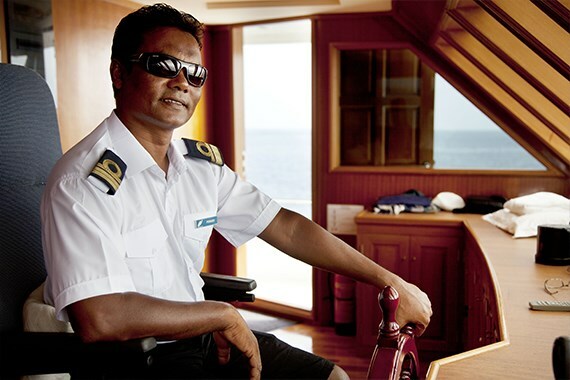 Book your flight into Male, Maldives’ capital. 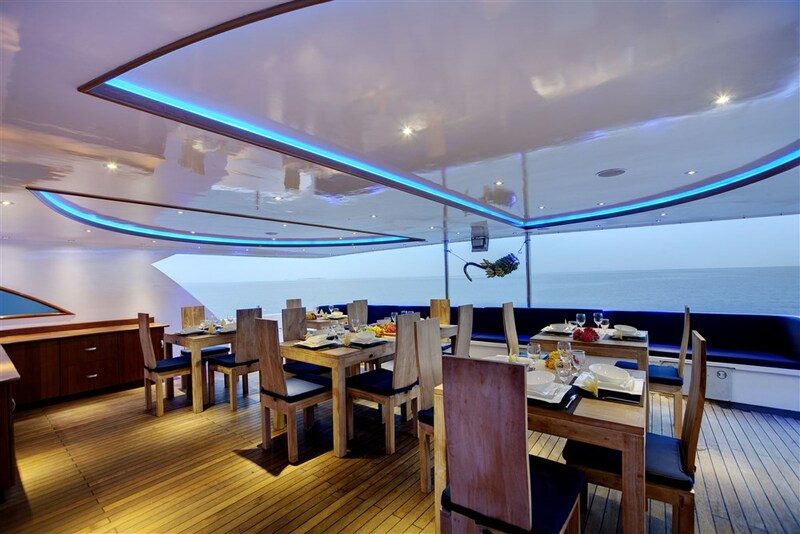 Depending on the route you will be joining and its departure and arrival ports, an internal flight may be necessary and you can contact us to help you organising it. 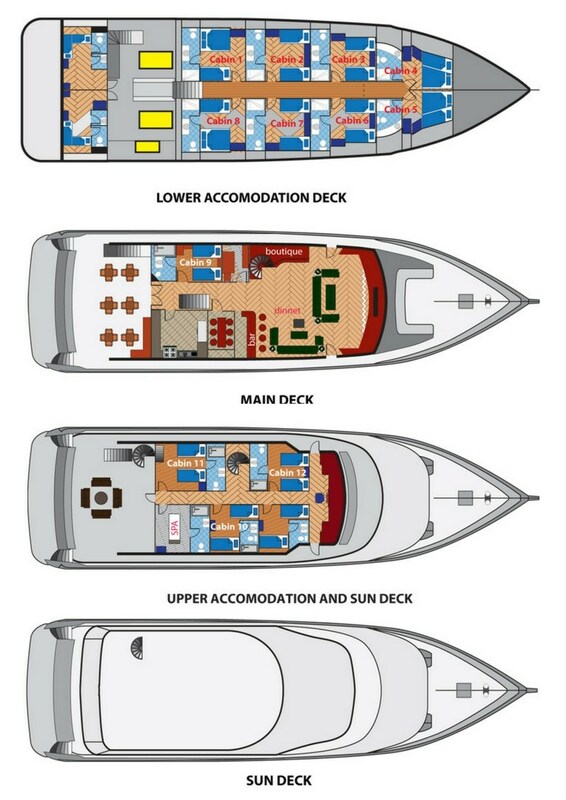 Please check your route details for further information. 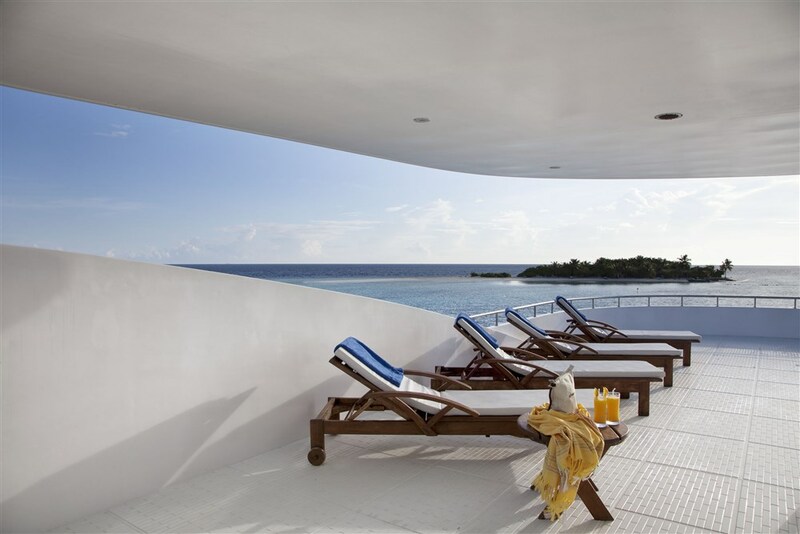 Domestic airfares are not included in the cost of the trip. All the transfers, other than regular cruise arrivals and departures, will be arranged upon request by sea plane or speed boat and charges will be applied. 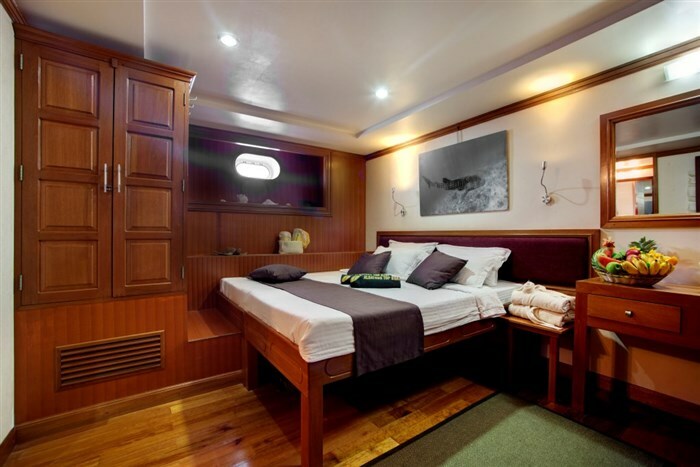 Stylish cabins with a comfortable environment, low single beds and their own private bathroom and AC. 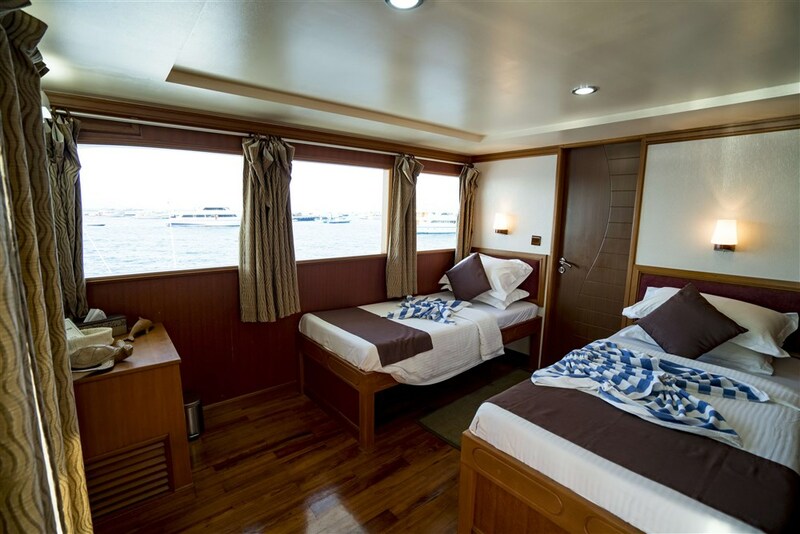 Stylish cabins with a comfortable environment, all with low beds (one double and one single) and their own private bathroom and AC. 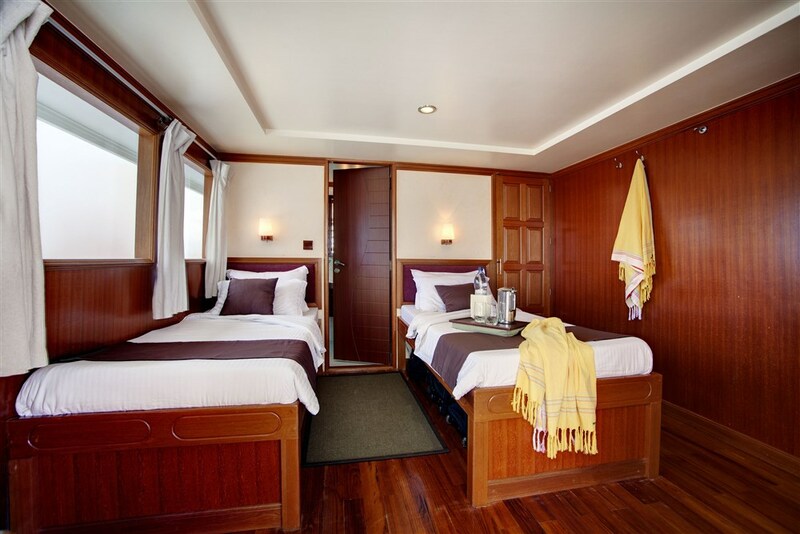 Stylish cabins with a comfortable environment, low beds and their own private bathroom and AC. 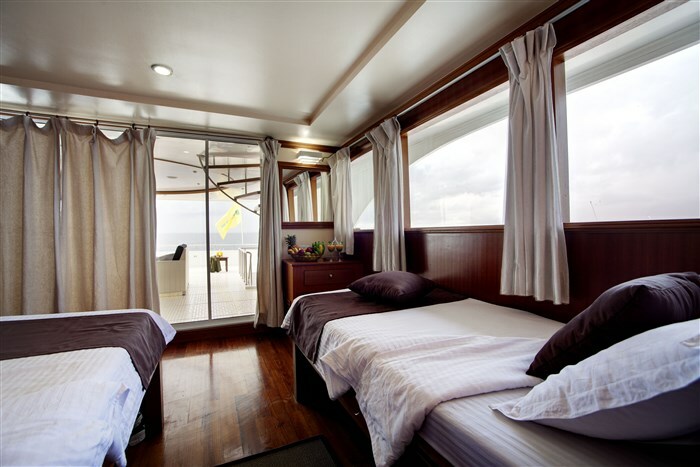 A stylish cabin with a comfortable environment, low single beds and its own private bathroom and AC.